Home personalized plates A New Way to Party - Personalized Plates from Birthday Express! At just $9.99 per set of 8 plates, this is a fun and affordable way to bring life to your party, quite literally! 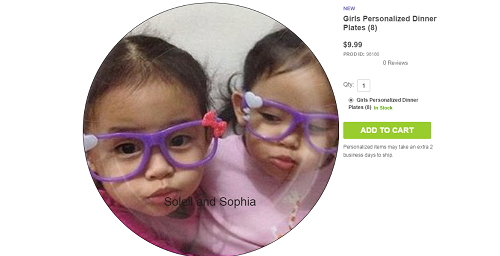 Check out the personalized plates I created of my twin granddaughters. This would be a suprise at the party.